Michigan saw an 18-point increase in Muslim voter turnout between the 2014 and 2018 midterm elections. Across Michigan, roughly 50% of registered Muslim voters turned out on November 6. 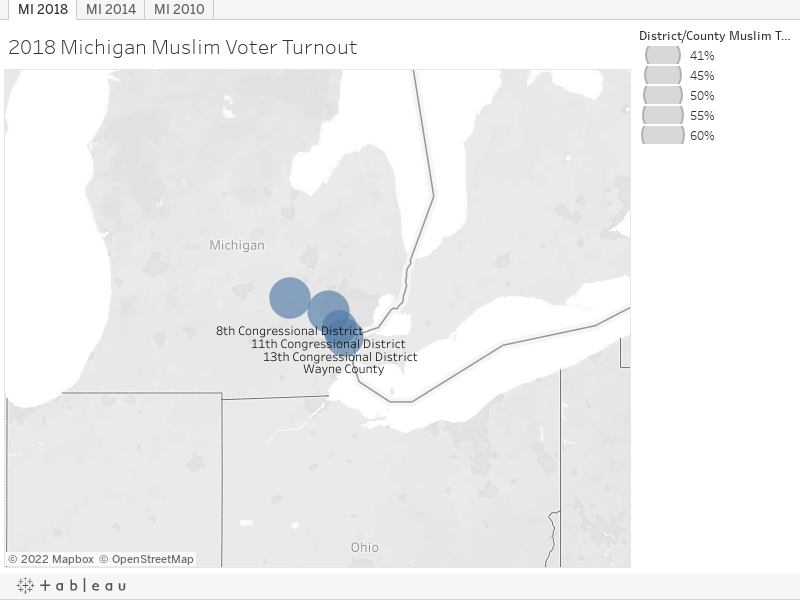 One of Emgage’s primary focus areas, Wayne County, has seen a steady increase in Muslim voter turnout every midterm since 2010 with the Muslim voter population more than doubling between the 2010 and 2018 elections. In 2010, Wayne had 14,232 Muslims turn out to vote. By 2018, 32,126 Muslims turned out to vote in Wayne County, representing roughly 43% of the entire state’s Muslim voter turnout in the 2018 midterms.